When it comes to wedding hairstyles trends, we LOVE the classic yet elegant wedding updo. 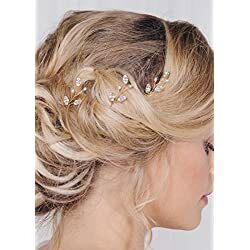 Such a gorgeous and romantic hairstyle idea for the bride, the bridesmaids or even as a guest at a wedding or formal event. 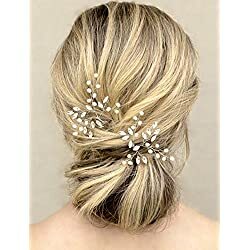 The updo is perfect for medium length hair to long hair – and there are even updo hairstyles that will work for thin hair too. Updos can also have braids or flowers or a tiara and can work well with your veil as well. 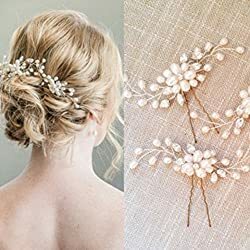 Below are a few of my favorite wedding updo hairstyles – feel free to pin any and all hairstyle pictures to Pinterest to save them for later. 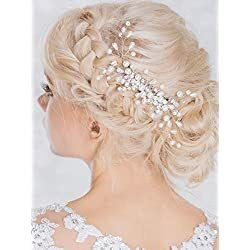 There are many different styles of updos available and the bride may find choosing the perfect one to be a challenging task. The bride has a lot of factors to consider when choosing a hairstyle. 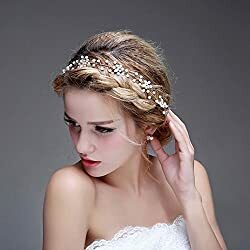 The shape of the face is one of the most important factors to consider when choosing a wedding hairstyle such as an updo. 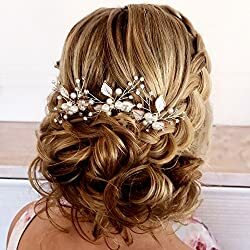 This is important because certain styles of updos are more appealing on faces of a particular shape while other styles may create an unappealing look. For example some hairstyles may make a round face appear even rounder while other hairstyles may create a slenderizing illusion. 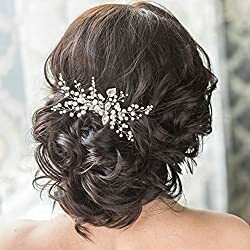 The process of choosing wedding hairstyle can be long and tedious with hours and hours spent scrolling through Pinterest looking at updo hairstyle pictures (like YOU are probably doing right now). Here’s a tip: be sure to save/pin ANY updo hairstyle you even kinda like. Over time, as you scroll through your board of potential updo ideas, you will start to see the final picture of what will work best for YOU. 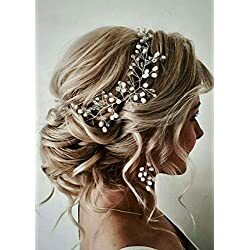 Another thing to keep in mind when looking at updo hairstyle pictures is to consider the shape of the face of the models in the hairstyles you like. If they have face shapes which are similar to your own, these styles will likely be flattering. However, if the models have faces which are shaped drastically different from your own, you may find the style to be unflattering and not end up looking the way you envision it. The next step in the process of choosing wedding updos is to visit a salon to experiment with different styles. 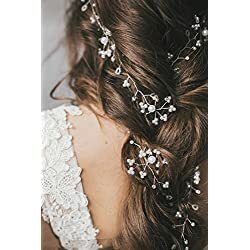 If you already have a hairstylist you trust or have recommendations from other friends you can choose this stylist to complete your wedding day look. Otherwise you might need to visit a few salons to see pictures of their previous work before deciding on a stylist. Once you have chosen a stylist you can do a trial run to see how a few of your favorite wedding hairstyles actually look on YOU.